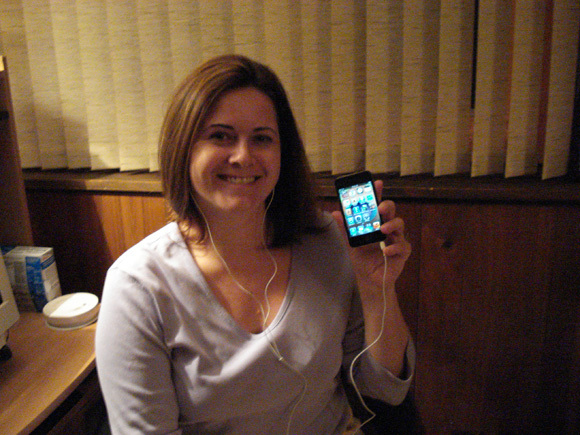 Apple iPod Touch Gen4 Winner: Jodi G. from Mount Prospect, Illinois. In this contest by BestOnlineCoupons.com the prize was a brand new Apple iPod Touch. This is the brand new version (4th generation) of the iPod touch and has many hot features like the stunning Retina Display, dual cameras, FaceTime suppot, HD video recording, Apple A4 processor, and more. Out of the many reviews submitted to our site, the winner was Jodi G. from Mount Prospect, IL. 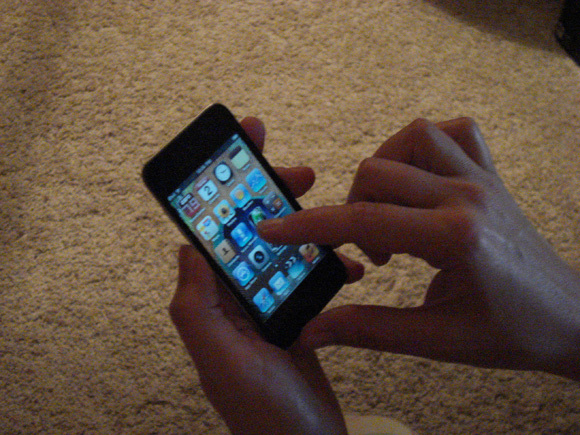 Her review of Zappos.com was randomly chosen as the winner of the contest, making her the winner of the Apple iPod Touch. Jodi sent us this nice thank you note, as well as a couple pictures of the prize, after she received the iPod Touch in the mail. When I first received the email stating that I was the winner of the Apple iPod Touch, I was very skeptical. I didn?t respond right away because I thought maybe this was some sort of internet scam. But after looking through BestOnlineCoupons website and email communications with them, I became convinced that this was just my lucky day. I was so excited to open the package and discover this amazing prize! With the help of my husband, we have since downloaded music and many apps that have been so much fun! I feel "up with the technology" now thanks to BestOnlineCoupns.com! At Best Online Coupons, we offer contests like this one to reward our users for helping our coupons site improve. This person won an Apple iPod Touch (new 4th generation) for contributing a review of an online store. Our huge selection of exclusive online coupon codes, promotional deals, and bargains help people save a lot of money, and our unique collection of store reviews help people make informed shopping choices.